There are so many sites about closings for houses and condos that I need not rehash the same step by step chronology you get on other site, so I will just link you to my overview about standard closing procedures in general and use this space to answer real life frequently asked questions. Why should I use your Office for a real estate closing? First: As your Attorney, you will benefit from my years of experience on thousands of closings and how to move forward when problems occur. 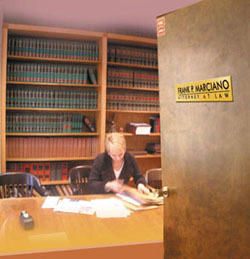 Second: I have a great staff, they are responsive, pleasant and knowledgeable about your case. Their job is to keep up the communication with you and use the tools of my office to be very proactive in getting information to you, the Client. Third: We have an innovative and effective digital office. We PDF everything and provide you with a free password protected web space to store all your important documents online. This investment in the future of my office directly benefits you. For an overview of the web space site please follow the link below. Also please review my FAQ about closings. I tried to make them as real as possible and will be updating them on my blog. To set up a consultation concerning any real estate closing, contact us online or call us at (201) 656- 1000.